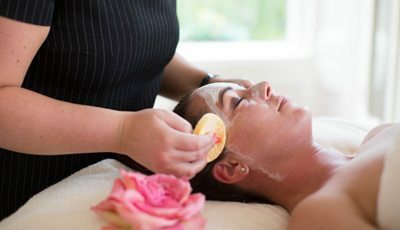 Our unique approach to facial treatments allows your therapist to provide a treatment that is prescribed exclusively for you. So you think your skin is great? Seventh Heaven has a new way of looking at your skin. Skin Scope helps us tell you what is happening under the epidural layers of your skin, whether your skin is normal and healthy or dehydrated and lacking in moisture. This skin scanner will determine the perfect facial & skin care regime, designed especially for you. (A skin scope consultation is included with all Seventh Heaven facials). A papaya, pineapple, pumpkin and mango infused blend of organic and medically effective ingredients designed to re-balance tired, stressed and dull-looking skin. This non-chemical peel naturally re-balances, regenerates, restores and soothes your skin with organic ingredients. 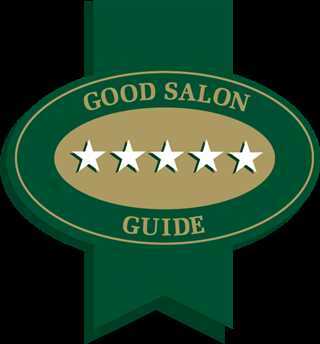 The facial that does it all, even the most experienced ‘facial enthusiast’ will be impressed! A cleansing and invigorating, vitamin infused treatment that will deliver tightening, lightening, brightening & nourishing hydration to leave you feeling fully refreshed and renewed. What more could one ask for? This active clinical facial is designed to immediately treat all forms of acne. Salicylic Acid, enzymes, retinol & benzoyl peroxide synergistically work to effectively dissolve excess oils and superficial blemishes. You can expect clean, refreshed, healthy, beautiful oil-free skin in just one treatment. This treatment strikes the ideal balance between peel perfection and facial therapy fulfillment. It is designed to truly target those stubborn wrinkles, elasticity concerns and general lethargic dull pallor skin issues. All experienced while cocooned in a luxurious enjoyable ambiance of luxury, using the latest technology stem cells to guarantee immediate and long lasting results. Our premier anti-ageing treatment. A rich enzymatic exfoliant and marine based serum is applied to cleansed skin followed by a deep relaxing massage and cooling seaweed masque. The results are impressive – a glow that lasts. One fabulous anti-ageing treatment, which Cosmopolitan UK called “the best facial of the century”. Experience layer upon layer of pure, fresh European seaweed to rejuvenate, tone and help firm the skin, while our therapist introduces a soothing massages to help you unwind and distress. Finally we finish with a cooling marine masque and warming mineral rich masque. Younger looking skin with visibly renewed moisture. 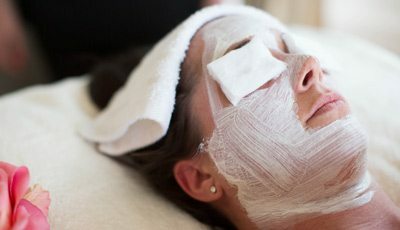 This facial has all the benefits of the world famous Four Layer Facial, with additional European deep pore cleansing and exfoliation to rid the skin of blackheads. This anti-ageing treatment will leave your skin clear and refreshed. Fresh European seaweed rejuvenates, tones and helps firm the skin. Dermalogica skin care is a simple, serious and unique skin care system that delivers effective results in the minimum amount of time. For years Dermalogica formulas have pioneered new standards for products performance, using only the finest ingredients. A relaxing back massage to reduce stress and muscle tension is a perfect start to this facial. A deep cleanse followed by a customised exfoliation leaves the skin polished and glowing. Extractions remove any congestion, the aromatherapy pressure point massage that follows will stimulate blood circulation and revitalise the tissues while your hands experience a soothing massage treatment. 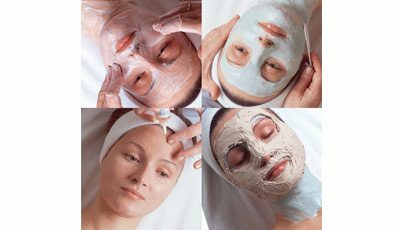 Finally we select an appropriate facial mask to restore the natural balance of your skin. Ideal for prematurely-ageing, dry, sun-damaged and ageing skin that needs nourishment, regeneration and energising. Your skin will be noticeably firmer, smoother and revised. This revitalising treatment begins with a deep cleansing, followed by a gentle customised exfoliation to reveal a smooth glowing complexion. The skin is then gently warmed to allow easy removal of any built up congestion. 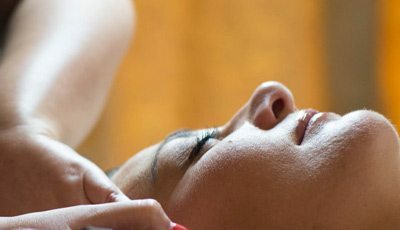 A Face, Neck & Shoulder massage using Aromatherapy is certain to ease your mind and spirit. Whilst the revitalising mask takes effect enjoy a soothing massage to the hands or feet. Finish with a nutrient rich moisturiser to hydrate, protect and help restore the natural balance of your skin. The ultimate in acne management. We target current blemishes while helping to prevent future breakout activity. This medicated clearing treatment focuses on purifying your skin with deep cleansing, followed by extractions. Is your Skin looking red, inflamed or feeling itchy? This super-soothing treatment incorporate a microfoliant and pure oatmeal masque to calm redness and reduce inflammation. Leave your cares behind as we begin this treatment with a power cleanse, designed to restore your skins healthy radiance. Extractions remove any congestion while the Aromatherapy pressure point massage that follows will stimulate blood circulation and revitalise the tissue. Designed as a facial between facials. This facial is especially designed for Teen Skin, the clear start teen facial is perfect for starting teen skin on a healthy clear skin regime. Includes, deep cleansing, exfoliation scrub, steam to loosen blockages from pores, extractions, followed by a calming masque. Education on skin care is given during this treatment. A unique blend of firming botanicals and vitamin therapies. Designed to firm and tone the eye area, this treatment is designed to diminish fine lines, reduce puffiness and soothe tired, irritated eyes. Our extra gentle exfoliation will remove dulling debris while the super soothing masque will hydrate the delicate area. 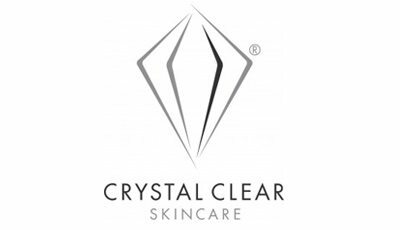 Instantly beautiful rejuvenated skin can be yours with Crystal Clear. A string of celebrity fans, has generated significant public awareness and media coverage of the Crystal Clear treatments. The treatment and product range has reinforced its position as “the celebrities” favourite treatment. The treatment allows you to treat lines, wrinkles, dull dehydrated skin, sun damaged skin, skin laxity, acne scaring congested and acne prone skin. Using a controlled method of skin resurfacing by gently exfoliating the outer layers of skin, while increasing new collagen and elastin formation to visibly rejuvenate and firm the skin of the face, neck & body. Results are visible immediately. However, a course of treatments is often recommended to achieve maximum effects. As we age oxygen levels in the skin cells decrease, resulting in a loss of elasticity and the formation of lines and wrinkles. Oxygen Therapy replenishes lost oxygen, and the active ingredients in the serum restructure the skin from the inside out. Visibly plumping lines and wrinkles while firming the skin around the eyes, face and neck. For that extra special treat, why not combine both treatments to give you maximum results. This is the crème de la crème of skin treatments. This micro current therapy offers the first real alternative to cosmetic surgery, dubbed by the press “The Knifeless Facelift”. 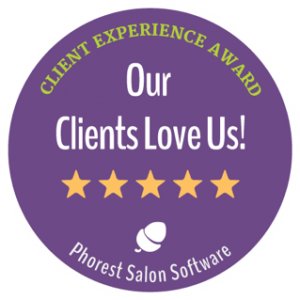 The client will receive first class results with every treatment. Special vitamin enriched conductive gels containing healing and moisturising ingredients used during the treatment also enhances the results. Recommended for any skin that needs a lift! Perfector can benefit any skin as it smoothes and tightens, leaving a more refined, glowing complexion by also using special serums. This is a beauty treatment that uses collagen and protein to re-vitalise your skin. Collagen facial attempts to recharge the ageing process by replenishing the skins natural protein by external application. Botox/Fillers – performed by a doctor – prices on request.